Scheduled maintenance is a big part of your business and ProDemand makes it easier than ever to make it profitable. ProDemand displays all types of maintenance information, including by mileage, time interval or indicator-based. You can quickly see all tasks relevant to your current vehicle, and build (and print) a maintenance checklist. You choose how maintenance tasks are displayed, ensuring that no tasks are missed and no profit opportunities lost. You can choose to show only maintenance tasks for your vehicle’s entered mileage. 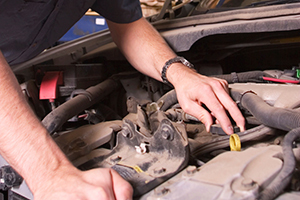 By demonstrating complete knowledge of your customer’s vehicle’s unique maintenance needs, you also demonstrate your dedication to customer service. With ProDemand, maintenance tasks and their required fluid specifications are never more than a click away. From any location within the Maintenance module, simply use the Quick Links to view all fluid types, including capacities. The Reset tab puts all the common reset procedures for the selected vehicle together in one place, including dashboard indicator reset and tire pressure monitoring reset. No need to do a second lookup to find this information. In the Maintenance module, a checklist printout includes all selected services, including footnotes. Technicians can easily print the checklist and will appreciate this concise, quick reference guide. ProDemand also prints the maintenance checklist in a consumer-friendly format, with easy-to-understand write-ups for each maintenance task. You can set the maintenance checklist to include a custom header and/or footer that can include your shop information on the printed checklist you give to customers.